Der Artikel Francois Francoeur (1698-1787): Zelindor, Roi Des Sylphes wurde in den Warenkorb gelegt. 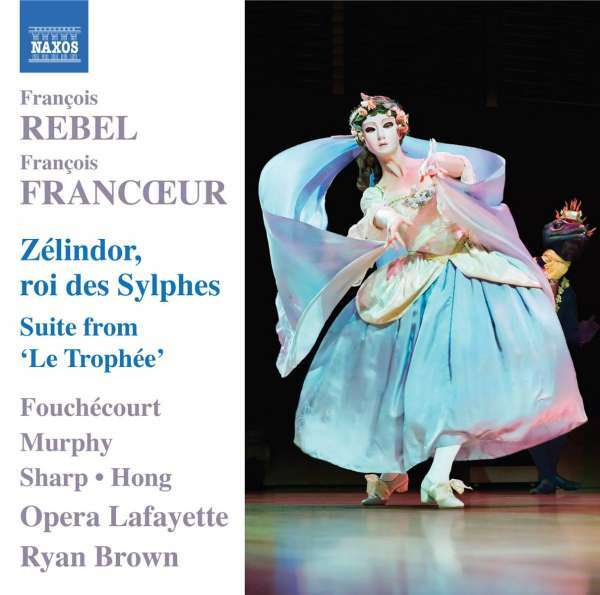 First performed at Versailles in 1745, the opera ballet Zélindor is a delightful rococo pastorale which found favour with Louis XV's mistress, Madame de Pompadour, no doubt because its story about a king who loves a commoner reflected her own situation. 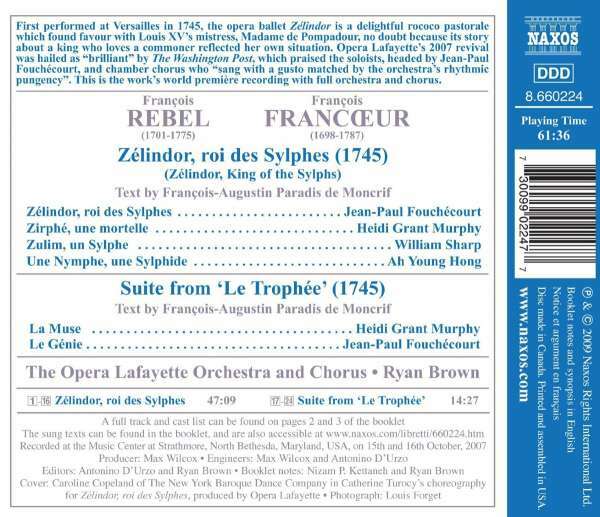 Opera Lafayette's 2007 revival was hailed as "brilliant" by The Washington Post, which praised the soloists, headed by Jean-Paul Fouchécourt, and chamber chorus who "sang with a gusto matched by the orchestra's rhythmic pungency". This is the work's world première recording with full orchestra and chorus."